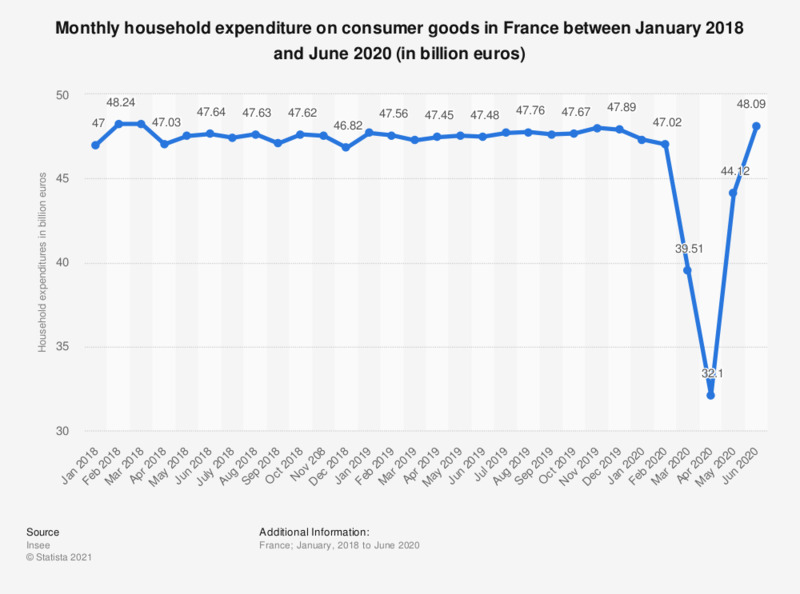 This statistic represents the total monthly household consumption expenditure on goods in France from January to December 2018. In January 2018, French households spent a total amount of 47 million euros on consumer goods. The source adds the following information: "Volumes at previous year's prices, chained since 2014 "